Incredible pictures show the moment a woman gives birth to her baby underwater in the Red Sea. The new mom, believed to be from Russia, gave birth with the help of her husband and a Russian doctor who specializes in water births. Pictures of the doctor and the baby’s dad carrying the baby out of the waves in the resort town of Dahab, Egypt, went viral after being shared on social media. 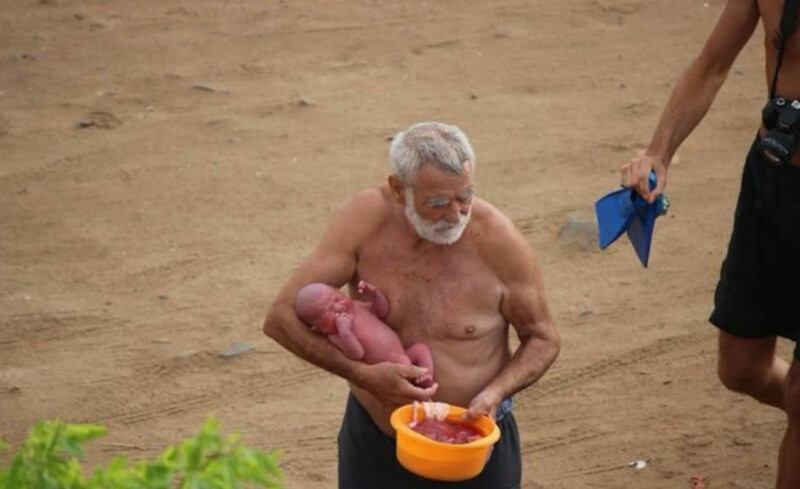 The images, which show the baby with its umbilical cord still attached and its placenta in a plastic container was taken by a tourist from a hotel balcony. 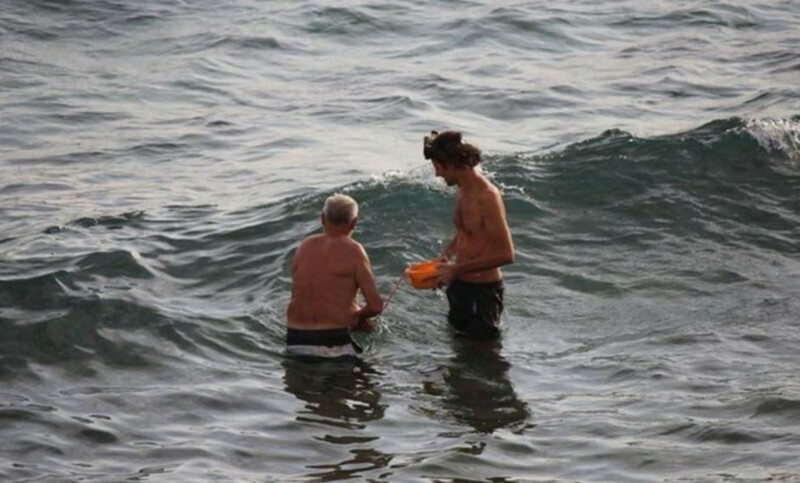 The baby’s mom had just given birth after going into the sea while wearing a bikini, according to eyewitnesses. 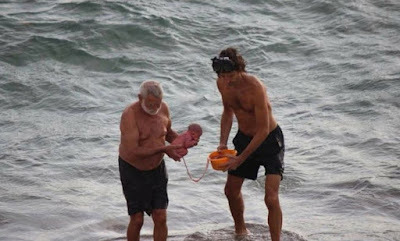 Some Facebook users praised the apparent “beauty” and “easiness” of the baby’s water birth. 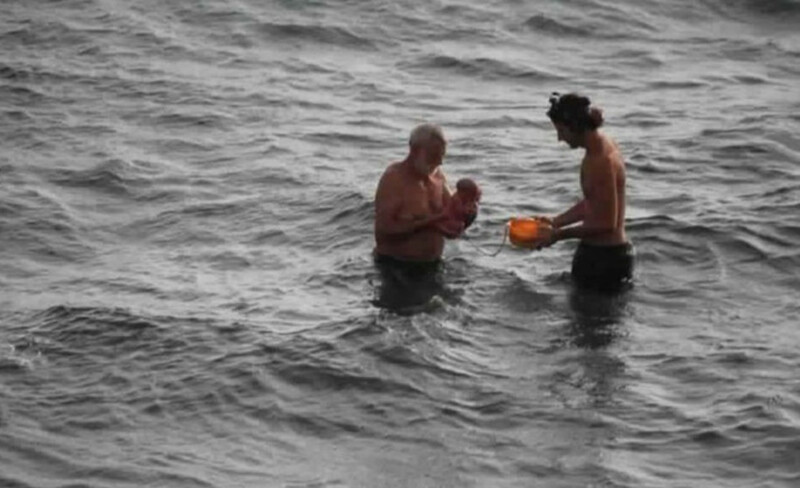 Dahab, which lies 50 miles northeast of the popular resort of Sharm el-Sheikh, has become increasingly popular with moms-to-be aiming for a seawater birth, according to local media reports. The woman, her husband, and their baby have not been named, and there is no report on the baby’s gender or condition. Dahab, formerly a Bedouin fishing village, is popular with tourists and is now considered to be one of Sinai’s most treasured diving destinations.